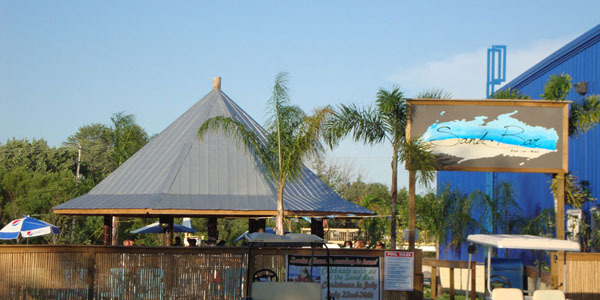 Located at the Adventure Bay complex off of Main Street, The Sand Bar is your favorite fun pool bar with all the amenities you would expect and then some. We offer a large Tiki style bar completely surrounded by white Florida Beach Sand. Beach volleyball, corn hole, pool games, cabanas, and a great menu will keep you happy all day long.